When you’re a homeschooling family, you’ll often hear comments and questions from others. The age old question about socialization almost always comes up, as well as inquires about what sort of curriculum we use. I’ve even fielded queries about how I managed to keep my house relatively clean while homeschooling. People often assume that I’m a stay at home mom. Most are surprised when I tell them that I work outside the home, as a registered nurse. 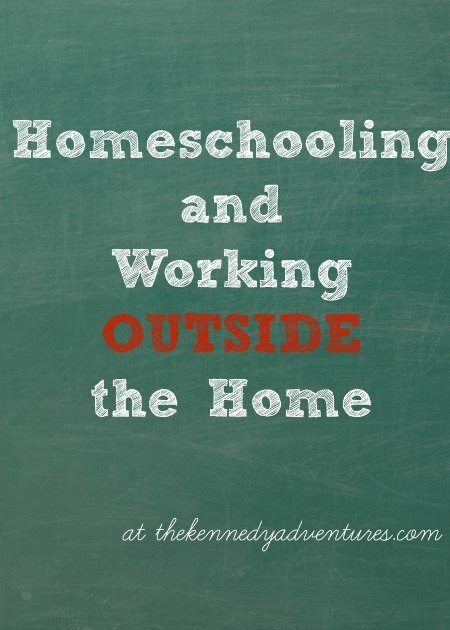 I DO work outside the home along with homeschooling three of my small children. It’s not a piece of cake, but I’ll show you how I manage. I’ve learned to look at my career as a blessing. I’m fortunate to have a career that pays well, provides health care benefits for my family, and allows me flexibility with scheduling. As a nurse, I work two 12 hour shifts per week. This leaves 5 days free for homeschooling and managing my home. We’re moving slowly toward me staying at home, but for now, this schedule works for us. If you’re considering homeschooling and you work outside the home, take a deep breath. Sit down and have a talk with your husband. Brainstorm potential ideas for creative scheduling. Chat with other homeschooling families to see how their days work. If you have extended family or friends who are supportive of homeschooling, pick their brains for ideas. They may be able to offer insight on how to make this work for you. You’ll need to sort through the household tasks and assign them to yourself or your husband. Knowing that my husband is pitching in with meals, child care and housekeeping makes my load a little lighter. If a father wants his children to be homeschooled, he’d better be ready to help. To think that you’d work AND homeschool the kids, as well as managing things at home — that’s ridiculous. We’re in this together. Wise words from a homeschooling dad. Even after three years of homeschooling, I’m still amazed at the flexibility of our schedule. We’re able to start our school year when it fits our family, taking longer breaks for holidays and birthdays, or scaling back when new babies arrive. Don’t get stuck in the rut of thinking that homeschooling has to look like a traditional school setting. Learning can happen at any time, not just Mondays through Fridays, 9AM until 3PM. If you work outside the home and want to homeschool, consider afternoon lessons, evening lessons, or even on weekends. You can also look at a year round approach, spreading out your plans over twelve months instead of nine. When you’re wearing many hats, you’ve got to manage your time wisely. Between working as a nurse, managing a home, and teaching my children, there aren’t enough hours in the day to get EVERYTHING done. I have to take an honest look at our calendar and figure out the priorities. I look at the ‘must do’ items, along with the ‘it might be nice’ things. Planning my weeks is a priority with our lifestyle. I have to communicate with my husband about school days, my work schedule, doctor’s appointments and field trip plans. We share a Google calendar so that we can get a glance at what everyone has on tap. If you prefer paper, have a big calendar in a central area in the house so everyone is up to speed. 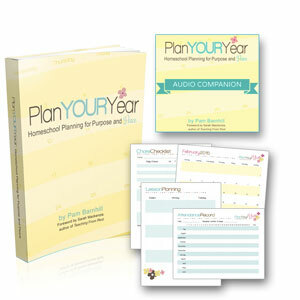 My go to resource for making sense out of our homeschool planning is my Plan Your Year Kit. Pam’s simple, practical tips helped me to make the most of my variable schedule, highlighting the best days and times for school in our home, and guided me in making a routine. We have a rule of one extracurricular activity at a time, to minimize cost, stress and travel time. My kids are extroverts, and there’s no shortage of fun things to do in our town. I’d love for my kids to experience everything, but it’s just not possible. We sit down together and talk about what works for everyone. Once a week, take a look at your calendar and sift through your to do list. Plan your school schedule and your meals for the upcoming days. The more you can plan ahead, the smoother things will run. If you’re planning on working outside the home and homeschool your children, you’ll have to pare down your extra commitments. Now is not the time to head up VBS or volunteering for extra work shifts. Saying no to extra commitments means you can say yes to more time with your family. Win, win! While you have a housekeeper cleaning your bathroom, you could plan ahead a few weeks in your school. If you have a neighborhood teenager helping out with some of your little ones, you could get caught up on laundry or plan some meals for the week. It’s easy to burn the candle at both ends while working and homeschooling. You’ll need to make sure that you’re taking care of yourself by eating right and exercising. Don’t wait for someone else to tell you to schedule your hair appointments or yearly checkups. Build in time for yourself, your self care, and your interests. 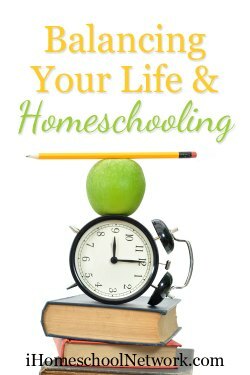 Have questions about how you can homeschool while working outside the home? Please share them in the comments so we can help each other! This is very encouraging! I left my full time career to start homeschooling two years ago. But I may have to re-enter the work force in the future and I’m encouraged by your post that I could do it! I’m blessed to only work part time (2 days per week). I’ll be honest and say that I’m not sure I could manage full time work and homeschooling. There’s only so many hours in the day! Excellent advice here, thanks for this! And yes, Google Calendar! It has revolutionized how we live now!! All great pieces of advice! Tip #5 is a crucial one, in fact, thankfully its becoming a more popular options. Taking care of our families first is the most important thing we can do. I used to make excuses for saying No — we have a new baby, I work, etc, etc. Nowdays, I simply say No, and leave it at that. You wouldn’t believe how freeing that feels. I really admire all the work that goes into homeschooling. 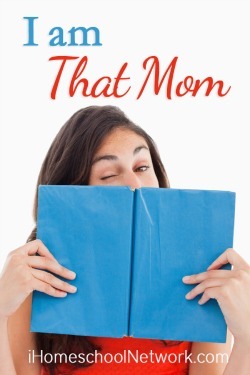 Taking care of mom is a huge one since mom often gets lost in the shuffle. It’s a lot more work than I ever anticipated, but then again, so is parenting! My husband and I were talking today about how we’re going to look back years from now and be SO glad we made this decision. I’m focusing more on self care these days – I’m going to the chiropractor, signed up for a new yoga class and will be running again soon. I need that for my sanity. This is a good series for those that want to consider homeschooling and work outside of the home. It is nice we all have options. Absolutely, Cassie. I wanted folks to not rule out homeschooling because they work. It can be done — just have to think outside the box a bit. Some wise words here – I think if you really want to homeschool then you can make it work, but I like your ideas about getting in some help to cover the cleaning and other tasks. Those are wise words from Dan Morris about hiring someone out. It’s all about being efficient. While someone cleans my house, I can work on planning my homeschool week, or take the kids out to the park. Great thoughts on subject. I have a friend who is considering and will pass this along. Stopping by from NEB! Great site! I appreciate you coming by, Carolann! Great advice – school isn’t for everyone! My cousin home schools in NY and here in the UK I know many hugely well socialised, well prepared children who are homeschooled, one by parents who work. We have to laugh about the socialization – in a big family like ours, it’s never an issue. I appreciate you coming by. This is very good, practical, encouraging, and realistic — wisdom from the trenches. Good advice for life in general, as well, as far as not overcommitting oneself in a society that wants us to do paid work, for free. Increasingly, parents will look to homeschooling as the public system continues to offer less and less in the academic end, and more and more in the social interference with people’s lives end. Your advice is very good, and practical. Thank you for your kind comments, Carolyn. As I’m getting older, my priorities have shifted where they need to be — right at home. We chose to homeschool for many reasons, but the lagging academics and the social agenda of traditional schooling is on the list. Nice to see you visit here! What very sensible advice – practical, thought-proving and wise…thanks for sharing this. I am sure it will help those making this important decision, and trying to work out how they will manage in their circumstances. Cheers for joining in with the Parenting Pin it Party, we really appreciate it. Great to see you visit! I love to share my experiences – both good and bad, to help others who are discerning a homeschooling path. Thank you for your sweet comments. This is such a great series. I’m planning on homeschooling my kids (still preschool age or younger). I know one of the top things I hear people say when I tell them I’m planning on homeschooling is “But my kids don’t listen to me!” What answer to you have for that? Thanks for sharing with HDYDI! I’ve learned more about being a parent than being a teacher these past few years. Homeschooling will lay wide open your faults as a parent. I’m not patient, I’m not consistent, etc, etc. I’m slowly learning that homeschooling is a LIFESTYLE, and that it doesn’t look like a classroom, like most of us are accustomed to. I’m learning to let it go …. I have to, or I make myself nuts. This year, I’m shooting for a relaxed approach. I told my husband he needed to keep me in line. He’s waaaaaaay laid back. I feel like I am already pretty aware of my faults. Ha ha ha, so it should go well then right? I’m pretty laid back too. I think it should be okay, because I really like the more lifestyle/less like a classroom type learning. So much useful advice here – I think the key thing is that homeschooling gives you the freedom to not have to learn from 9am until 3pm. It’s so good to hear that you work outside teh home and still homeschool. Thank you for this! We are planning to homeschool our kids. Unfortunately we get questioned constantly because my husband and I both work. I know we can homeschool and I know it will take hard work but it’s so worth it! My husband stays home with our kids while I work during the day and he works at night and on weekends. It’s tough on us but it’s right for our family and we are thankful to have jobs with flexible schedules. Great post! I work part time outside the home & homeschool our 10 & 8 year old. I have created such a schedule that I only teach on 4 days & the day I work all day I have them do projects or assignments that they can do independently. I also have been lucky enough to have a high school homeschool girl come into our home to watch the kids and guide them with their assignments on the day I work. The other day I work, I am only there for half a day so I do my teaching in the morning & then they can do some work that’s left independently or play games in the afternoon. It can be done. That’s the beauty of homeschool….it’s flexible for your schedule! I used to work outside the home and it was difficult for me. I’m so thankful that I get to work from home now! These are still some great tips for me to remember, especially the last two! I’m sharing it in the Linkedin Homeschooling and Working Parents group. Here’s the link if you want to check them out. There are always great posts shared there. Thank you so much for the article! I am fixing to start a job after not working for five years. I homeschool all five of my children, and was worried I’d have to send them to school because I thought they had to be in school 8-3! I’d considered doing homeschooling of the evenings, but thought they wouldn’t learn properly. After reading your article I’m going to try it! 🙂 We already do year round here, but it is more to keep them from forgetting than to spread it out to make it easier. I have so many questions. What is you schedule? Do you work nights or days? What is your husbands schedule? Do they ever overlap ? If they do who watches your kids? Thanks for reaching out! My husband works from home, and I work every Saturday and Sunday, 10 hours each day. Since I’m home Mon-Fri, we don’t have a lot of need for childcare. Much depends on your children, their ages, your approach to homeschooling, and the support of your spouse. My husband and I are committed to homeschooling our children, and we say no to a lot of extras. Currently, our children still at home are 9, 7, 7, 3 and 18months. My 9 year old and my 7 year old twins are the only ones who are doing school. Great post! I also homeschool and now work part-time, only about 2-3 hours a day. It can be done and you have given the great tips on how to do it! !